This is an interesting video where scholars discuss the issues China faces in the future regarding social policy and economic reforms. The problems facing China seem to be a gross magnification of the problems America (most likely all countries of the world) faces, which I have been wondering about without coming to any sort of solution. Currency Wars: The Making of the Next Global Crisis suggests a conspiracy, a Game of Thrones, between central banks and their governments. I am skeptical that these banks would not rather work together instead. It is worrying that these institutions wielding vast amounts of global power are essentially opaque institutions. Yet, it does not seem possible to be rid of central banking while the world runs on fiat currency. Is a new currency type the solution or is a change in policy the solution? Neither options present themselves. I will like to investigate Milton Friedman’s proposed solution for a computerized central bank. Plutocrats: The Rise of the New Global Super-Rich and the Fall of Everyone Else suggests that we’re living in a world where it’s the global rich versus the global poor. While this is a good piece of journalism that does not overly demonize the super-rich and bemoan the poor, it highlights a critical symptom of a problem no one has yet found a solution for. The Institute for New Economic Thinking forum discusses this problem as well for China specifically. I’ve been on an Ancient Roman history bender lately, which is motivated heavily by my desire to understand modern Western civilization in context of all Western civilization. This seems to be a trend among some economics blogs under my watchful eye. So I will just highlight a few interesting tidbits about ancient Roman economy from my favorite blogs. Indeed, the widening gap between rich and poor and the disappearance of a middle class is widely accepted as one of the prime explanations for the fall of the Roman Empire. By Cicero’s time moneylending at interest had become a common form of investment, practised generally by all those having surplus cash. Tacitus contrasts land holding and moneylending as respectable forms of money making, with the instrumenta vitiorum typical of the rapacious and forlorn. Quintilian chides nobles who spent their time passively enjoyingtheir wealth, letting procuratores manage their staff of slaves, hardly visiting their estates, and practising faeneratio through their dispensatores. Commendable wealth in Seneca’s time typically consisted of a beautiful house, a handsome staff of servants, large landed estates and much money put out at interest. According to Persius money could easily and with little risk be invested at 5%. How much money was going through a faenerator’s hands? Well, we know that one fellow, Q. Considius, probably a senator, held 15 million sesterces worth of debt claims. How much is that? The annual pay of a soldier in those days was about 9 aurei (see M.E.K. Thornton), and 1 aureus was worth 100 sesterces. With that money, Q. Considius could therefore have raised an army about the size of Slovakia’s. What happened if the lenders needed their money right away? Basically, there was something like a secondary market for debt: “He [the creditor] would sell on his debt-claims either to the intermediary who had ceded them to him or to some other intermediary, and the intermediary would then cede them to someone else. The mechanism seized up as soon as a liquidity crisis or a debt crisis developed” (Andreau, p. 18). But this—liquidity crises in the Roman world—is a topic for a future post. The presence of two economies: the rich and the poor, doesn’t seem to have changed much in over 2000 years. I imagine there is yet much to learn from the history books! 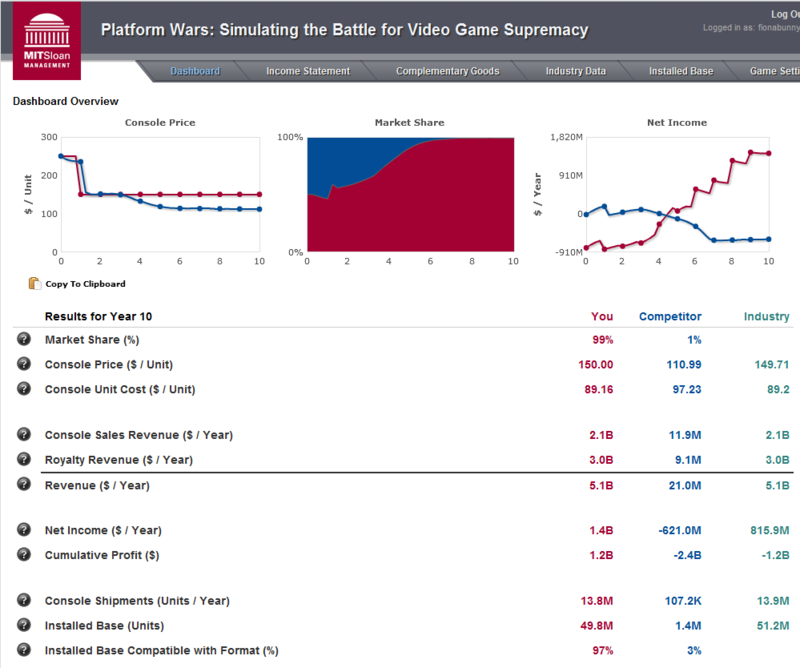 MIT Sloan business school just released a web game called Platform Wars that simulates the console business. I’d skip the introductory video in the link below as it’s very pendantic and doesn’t provide much news. Go straight to the game and you can play without any registration hassles. The game itself is reminiscent of Galactic Civilizations and other “excel games”. 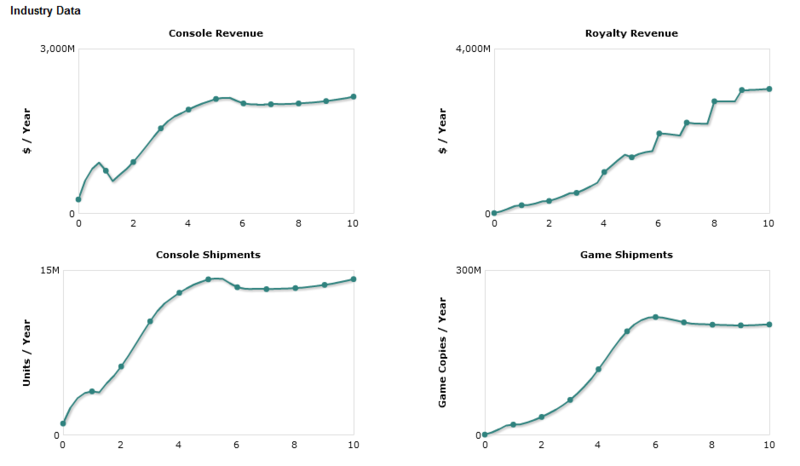 It comes with a nice set of charts to plot your progress as you make turn-based choices. On the default setting, it seems like the game can be won in just a few turns. Overall this is a cute game, but doesn’t carry much weight as either an educational device or something for a serious gamer. 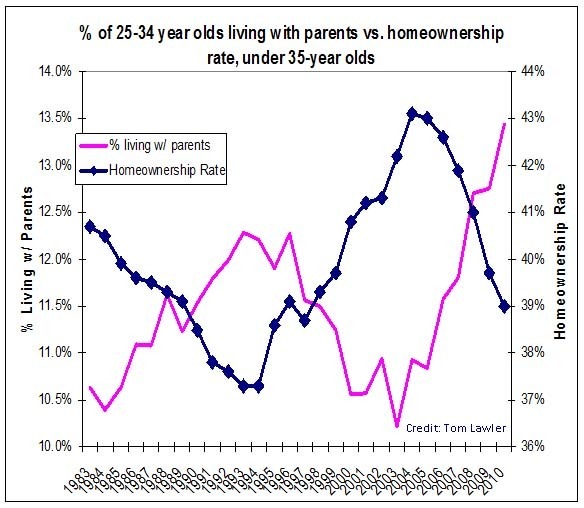 You could say that 20-somethings living at home is totally lame, or you could say it’s an incredible sense of market timing.